CSS strive to help our clients to make their work as accessible as possible to key stakeholders and the public. We are specialists in using the web to help spread the message. In particular, CSS are comitted to utilising advanced web mapping technology to ensure both visual and tabular GIS information can be available with the need for specialised software. A range of the communication and mapping websites we've developed are profiled below. This project involved development of a website to provide educational and training materials to Agency staff as well as a interactive mapping system for publication of FARWH results for each jurisdiction. 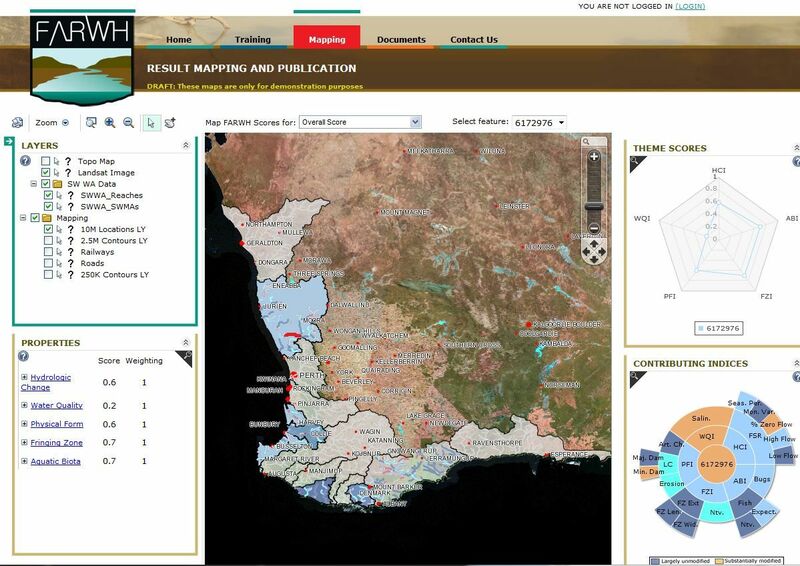 The website included GIS capabilities blending thematic mapping, clever representation of tabular data and charting. This project involved development of a Decision Support System (DSS) for water resource management in Uttar Pradesh, India. Several engineering models were tightly integrated into a GIS environment (ArcGIS) to allow streamlined and potentially real-time modelling of the hydrologic system. CSS developed a comprehensive website to proivde access to GIS maps showing the spatial variation in a variety of attributes across the study area as well as a detailed online mapping website. CSS was engaged by Lake Macquarie City Council to map all natural streams and catchment boundaries extending across all of the Lake Macquarie Council Local Government Area. 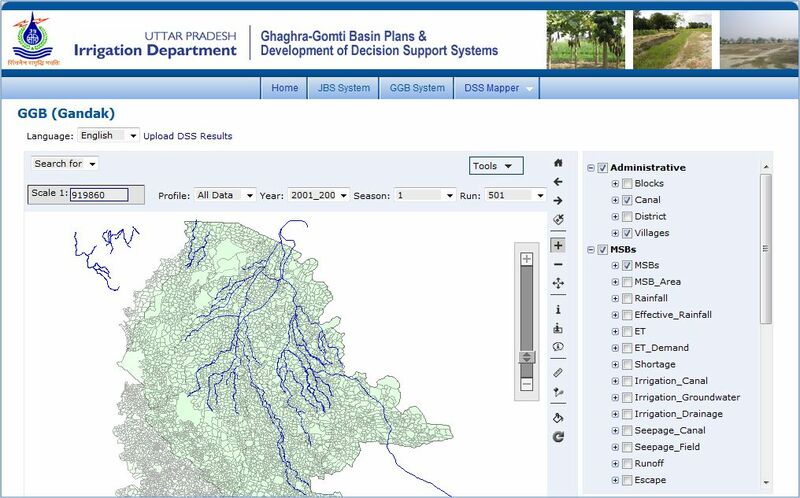 The catchment and stream GIS layers were also included in a web-based mapping page to allow Council staff to review the generated GIS layers without the need for specialist GIS software. Information from each layer (e.g., stream length) could be accessed by staff by simply clicking on a particular GIS shape/line within the mapping window. Various background layers including Landsat images and topographic maps aided in providing a geographic reference to each dataset. CSS are leaders in providing simple and easy to use websites to inform the public of flood studies. These sites typically include interactive mapping of approved GIS layers, facilitate online questionnaires to improve community response and provide a portal for the accumulation and mapping of flooding photographs from the public. CSS also maintain the floodstudy.com.au domain providing an important centralised location for these websites. View an example.